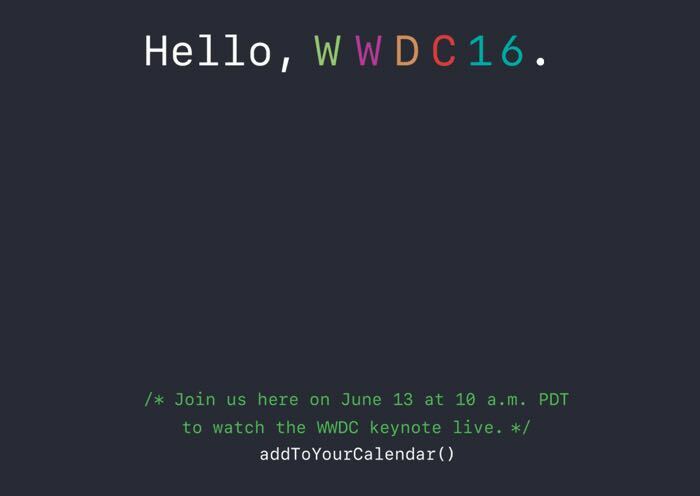 Apple are holding their WWDC 2016 Keynote next Monday the 13th of June and now the company has revealed that the event will be live streamed. The WWDC 2016 Keynote takes place at 10 a.m PDT next Monday, in order to watch the event your will need either a Mac with Safari or and iPhone, iPad or iPod Touch or an Apple TV. Apple are expected to announced details about the next major iOS software update at the event, iOS 10, the OS is expected to launch some time in September with the new iPhone 7. We are also expecting to find out more details about the next version of OS X and there are rumors that Apple will rename their desktop operating system to macOS. You can find out more information about the WWDC 2016 Keynote over at Apple at the link below, the event kicks off next Monday.